You and your fiancé deserve nothing but the best on your special wedding day. It’s important to commemorate your marriage in an ensemble that makes you look and feel your absolute finest. 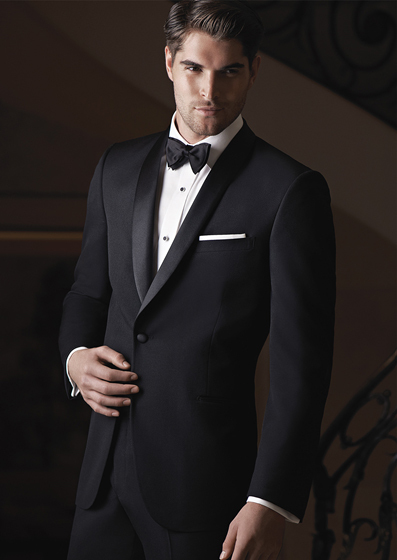 We are confident our tuxedo and suit collection has exactly what you need. 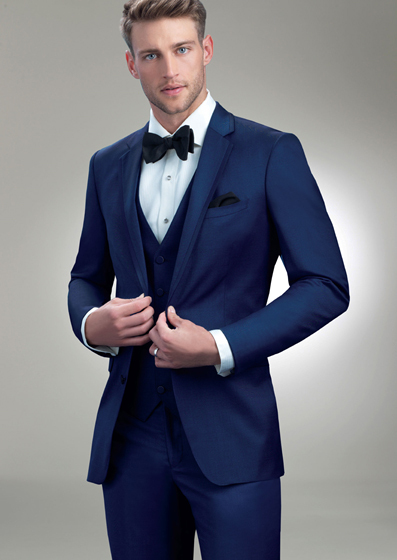 Made with impeccable construction, our suits and tuxedos come in every style, fit, and color to match your unique wedding look. This extraordinary day belongs to you and your future spouse, so it deserves a special dress code. Browse our tuxedo and suit collection for the perfect attire to make you feel dapper, striking, and confident on your wedding day. Shown with coordinating accessories and luxe microfiber shirt. Elegant super 130’s wool. Trim fit featuring matching self fabric edging cut on the bias along the notch lapel and top collar. Two button front, side vented with besom trimmed flap pockets. Shown with Synergy accessories in pewter. Shown with coordinating Tan Allure accessories and luxe microfiber shirt.